Bangkok, also known as the "Sin City of Asia", is a thriving metropolis in Thailand. With a population of over 8 million residents, you will never run out of things to do in Bangkok. Explore the ancient waterways of Bangkok and see how locals live along the canals. Historically, canals have been the expressways of choice for the Thai people, resulting in the designation ‘Venice of the East’ being bestowed upon Bangkok by western visitors. Join a two hour exploration along the ancient waterways of Thonburi where you can observe the many elements of the ‘canal life’ that once characterized all of Bangkok before wheeled motor vehicles came into prominence. After a short walk from Chinatown, you will find longtail boats to take you across the Chao Phraya River to Thonburi. 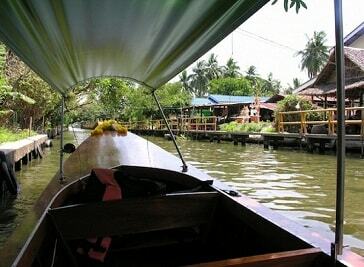 Here, you will enter the canal system and see an abundance of interesting wooden homes on stilts, temples and markets oriented towards life along the water. Co van Kessel, an innovative and adventurous Dutchman, pioneered bicycle & boat tours in Bangkok more than 30 years ago. As a longtime resident and self-professed lover of Bangkok, he understood very well the picture of accelerated urban development (gridlocked traffic, concrete towers, and choking pollution) that has plagued the recent image of the city. 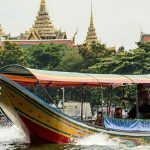 A canal tour is a “must do” for people who like to see the traditional Thai ways of living and get a special feeling of Bangkok which can only be obtained by taking a canal tour in Bangkok. Pandan tour will take you to the old capital in the Thonburi side, a more intimate way to look at the old Siam, with many stops to let you experience the historical, cultural and interactive lives of the local canal people.